"I've used the services of Green Bee Cleaning Services for over a year and have always found them to be professional, efficient and flexible. They consistently provide a quality service that ensures my home is always sparkling by the time they leave. With two small children and one with allergies the non-chemical approach to cleaning that Green Clean takes has helped my eldest child's allergies greatly. I really don't know where I'd have been with out them." "As an environmentally aware and concerned business, we decided to engage the services of Green Bee Cleaning to provide the cleaning contract for our business. Originally, this was based on their environmental approach to cleaning and the products they use. Green Bee Cleaning Services has been cleaning our office ongoing for the past 2 months and we are extremely happy with not only their environmental credentials but their professional and thorough approach to cleaning. They are friendly, approachable and always maintain a high level of service. Having used many cleaning businesses I know what a rare commodity an excellent cleaning company is in this market. 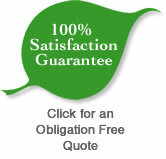 I have no hesitation in recommending any business to engage the services of Green Bee Cleaning."